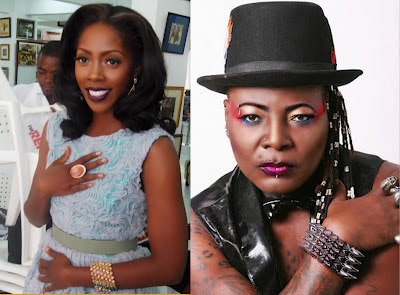 Tiwa Savage Not Returning to Nigeria Idol as Host for Season 3 and Linda (Charly Boy) Returns as Judge on Nigeria Idol. Area Father Charly Boy will be returning as a judge on Nigerian Idol Season 3 as his alter ego Linda. First Lady Mavin Records Tiwa Savage will not be the host for the new season. Her rep told NET that the yet-to-debut singer is just too busy working on her career, trying to wrap up her album. ‘It was difficult to combine with an increasingly time-consuming schedule. Nigerian Idol is something she will like to do again in the near future but not before she releases her new album amongst other things’, a rep from MAVIN Records, Tiwa’s label told NET. The rep however says Tiwa ‘thoroughly enjoyed her time on the show’. Illrhymz and Tiwa savage were the host for Nigeria Idol Season 2. Who will replace Tiwa Savage on the show?